Android tablet PCs are used widely by most people, you can find they appear everywhere in our daily life, maybe you have one in your desk or you are reading this article through your tablet pc or just close your tablet. When you go out with your friends, and then enter a fast-food restaurant, KFC or McDonald’s for example, you will find there are some person are using their tablet surf the Internet, watch movies or e-books while eating. Of course, the price of a tablet is higher than our mobile phone in a way, and everyone wants to spend our money on tablet efficiently and well. Therefore, we will reminder you here: we can neither just buying the tablet on advertisement nor judge a certain mobile phone brand. You have to remember the saying goes: we need choose a suitable for our real need. With this principle, you need ask yourself some questions before choosing and buying the tablet, such as what are you going to do when you bought a tablet, watching movies, listening music songs, playing games, designing software applications and so on, or which tablet size do you prefer, which Android tablet pc brand will you choose, where to buy this tablet and everything else. Let us talk about the first question: What are you going to do when you bought a tablet? To this issue, there are some people completely do not know why buy a tablet. For this issue, we can describe them as onlookers. We know different types of tablets have different functions and features, we suggest you need focus mainly on some major functions about tablets, because every kinds of tablet PCs have their different and stand out features and choose a tablet which is fit your needs and requirement. Another part of for the question above, there is some people know their needs and requirement, and they have their own thoughts before they enter a tablet pc store. However, they are struggling to find or do not know how to start to choose a suitable tablet for themselves. In terms of this issue, we strongly advise that you can assure your final purchase purpose before you buy a tablet. For example, after you bought a tablet, you may use the tablet for reading e-books, for watching movies and videos, or for playing games and so on. You can choose and buy a tablet according to your real needs. There are wide kinds of Android tablet PCs with various functions for you in http://www.hadgiftbox.com website, and you can learn further knowledge about Android tablet pc in this link, too. Here’s a common question that most customers grapple with: What size do I want or take for myself? They are common available as 7 inches, 8 inches, 9.7 inches and 10.1 inches tablet pc in computer stores. How do you know which size of tablet pc is suitable for yourself? Today, this article will help you to think about this problem and give you our opinion towards this question. Tablet pc, in addition to the sizes of 7 inches, 8 inches, 9.7 inches and 10.1 inches tablet pc, there are also other sizes not listed above. Because they are not the mainstream in tablet pc market and not so many people will buy them, such as 5 inches size tablet pc, which is like a mobile phone we hold, we will say that, it is better to buy a mobile phone directly, so we will not say them today. Let us begin. Firstly, you should know some size conceptions when we mention he sizes of 7 inches, 8 inches, 9.7 inches and 10.1 inches tablet pc, you can create mental pictures in your mind or search size pictures from the Internet. A tablet pc with 7 inches looks like your book; a tablet pc with 9.7 inches is as big as two books; A tablet pc with 8 inches is between 7 inches tablet pc and 9.7 inches tablet pc, which its size close to 9.7 inches tablet pc. A tablet pc with 10.1 inches is longer than a 9.7 inches tablet pc, which is suitable for us to watch videos and play some little games. However, 10.1 inches tablet pc is not suitable for us to play big games. Because when you hold a 10.1 inches tablet pc, your thumbs is short for you to click your game character. In generally, the resolution of a 7 inches tablet pc is 1024 x 600 pixels; 8 inches tablet pc is 1024 x 768 pixels; 9.7 inches tablet pc is 1024 x 768 pixels, 10.1 inches tablet pc is 1280 x 800 pixels. 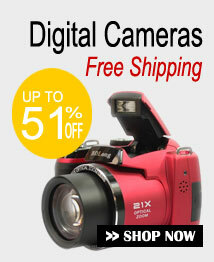 The larger the screen resolution, the better your images showing will be. The resolution between 8 inches tablet pc and 9.7 inches tablet pc is the same. Therefore, the picture in an 8 inches tablet pc is clearer than 9.7 inches tablet pc because of its small screen. Under the same resolution, screen pixels are tight in a small screen device. On the whole, regardless of screen material, a 7 inches tablet pc is convenient for most people to carry. 8 inches tablet pc is suitable for us to browse the Internet and watch movies. 9.7 inches tablet pc is better for us to play some games. And 10.1 inches tablet pc is better for us to deal with some work files. You can connect us by clicking http://www.handgiftbox.com website and get more information about table pc by this link. 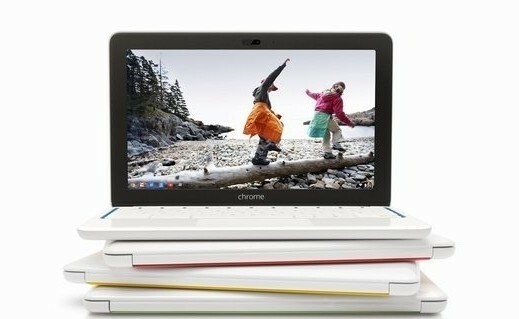 New York local time on October 8 morning, Google introduced a Chromebook 11 manufactured by Hewlett-Packard laptop computer, priced at $ 279.99. The Chrome OS-based notebook PC equipped with a 11.6-inch IPS screen with a resolution of 1366 × 768, viewing angle of 176 degrees. Other major hardware are: Samsung dual-core Exynos 5250 processor, 2GB of RAM and 16GB of SSD storage. Machine weighs only 2.3 pounds (or about 1 kg). HP Chromebook 11 laptop is also equipped with a VGA camera, two USB 2.0 ports, a headphone jack and SlimPort video interface. HP Chromebook 11 notebook consists of a micro-USB charger provides power for heavy users, this is good news, because they can at any time to the computer via the USB interface for charging, eliminating the hassle of carrying mobile power. Edit Comment: Chromebook notebook laptop is more dependent than normal network usage, HP said support 4G LTE networks Chromebook 11 will also be listed at a later date, which will undoubtedly make Chromebook user experience greatly increased, 4G networks will join network usage more efficient. Also carried out in the charge an innovative, through the USB interface eliminates the hassle of carrying the mobile adapter, make travel more convenient to use. Followed by the iPhone 5S pace, iPad Mini 2 will also be released next month. 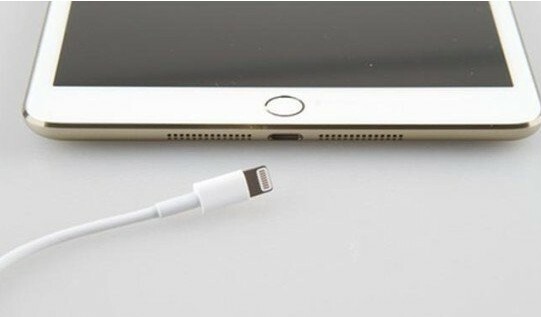 Recently, rumors about iPad Mini 2 is a followed by a fuselage cover photo has also been on the network exposure, and even rumored iPad Mini 2 will launch with the iPhone 5S same color. This tablet pc is interesting. I can download variety of software for free on Google Market. Compact size for ease of carrying anywhere. Very light and easy to carry. I am considering to buy a phone also here. So great. All the feature is very good! Operating speed is so high. Now I use it every day. Don’t know how I ever lived without it! Don’t know what I would do if I couldn’t use it everyday!